Online videos can be a very powerful tool for teachers. They provides another avenue for teaching the curriculum in an engaging way. One of the benefits using videos as part of your lectures is that students have the ability to re-watch the content whenever they would need. If they don’t understand part of a lesson, they can simply drag the progress bar to the left and view that portion as many as as they would like to. Along those same lines, students can search for videos that explain a topic in a different way if the original video doesn’t cut it. Essentially, it allows students to personalize their learning by providing them with videos that fit their learning style. There are many options for watching videos online, but none bigger than the reigning king of video, YouTube. Assuming that you can access YouTube without a filter, here are some fantastic ways to integrate YouTube into your lessons. YouTube allows registered users to curate their owns lists of videos to watch called playlists. Teachers can search YouTube, select videos they deem appropriate for a topic, and then add them to a playlist. They can then share those playlists with their students. Creating and sharing a playlist is an easy task. First, find a video that you want to add to a playlist. Click on it as if you were planing to watch it. Below the video in the lower, left hand corner you’ll see a plus sign that says “Add To”. Click that icon, You’ll see an image similar to this one. Now, click the “Create new playlist”. 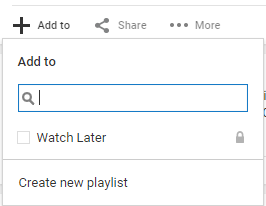 Give the playlist a name, leave it marked as public, and click done. You’re video is now added to the playlist. You can find the playlists in the upper left hand corner of YouTube. Click on any list to view all the videos that have been added to that list. If you want to share the playlist, you’ll see a Share button from this screen as well. Sharing a playlist with student’s is a great way to start flipping your classroom. So how do you know if your students are actually watching the videos you assign or if they understand the content shown? Enter EdPuzzle. EdPuzzle is a free application that helps teachers answer these two questions by giving them the ability to embed questions directly into a YouTube video. Teachers can then subsequently see a report of who watched the video, how many times, and how they answered the questions that were embedded. This means you can take a fifteen minute video, add a questions along the way assessing their understanding, then see a report of how the students did! Awesome, right? Sign up for EdPuzzle at https://edpuzzle.com. You can even sign up with your Google account to avoid having yet another software account to remember. It seems like everyone knows about YouTube channel for personal interests, but they completely forget about them for professional use. Channels are collections of videos, typically made by the same person or organization, around just about any topic imaginable. For teachers looking for videos specific to their content area, check out these channels below. Explaining math to students can be a really challanging tasks. These YouTube channels below can help make it a little less painful for everyone. This is easily my favorite category for educational videos. The science video channel attempt to bring science to life in exciting, engaging ways. Experiments and explosions equal educational engagement! Social studies is not always the most exciting topic. Heck, sometimes it can be down right boring. Use these channels to spice it up! One channel from the list below has found its success using parodies of popular songs to explain the content. You could spend an entire semester just studying the music/art of YouTube itself. Both are such diverse and expansive areas of study. These are just a few of the countless channels dedicated to music and art on YouTube. Language arts was a bit more difficult than the rest. Here’s one great channel. If this is your content area and you know of some others, please share in the comments below! YouTube is a tremendous classroom resource, especially when you put a little extra work into using it. 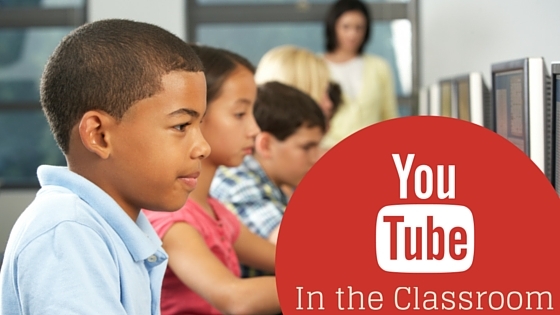 We hope you enjoyed this YouTube in the Classroom post. Did we miss something? Let us know in the comments below!